Hey everyone! It's Candace from Candi O. Designs and it's my day over at Jaded Blossom! 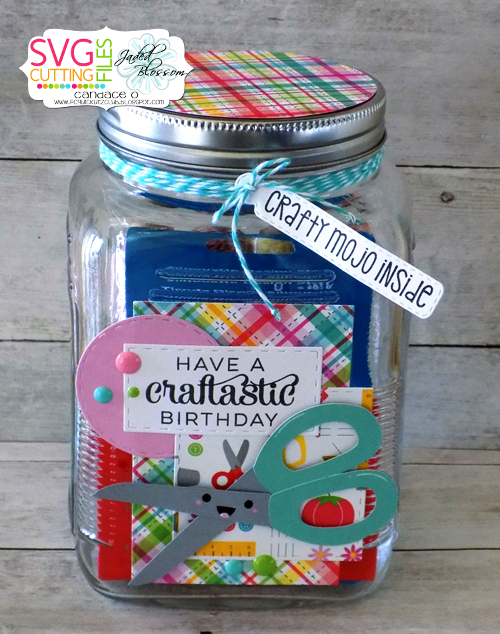 I made this jar for a friend's birthday. 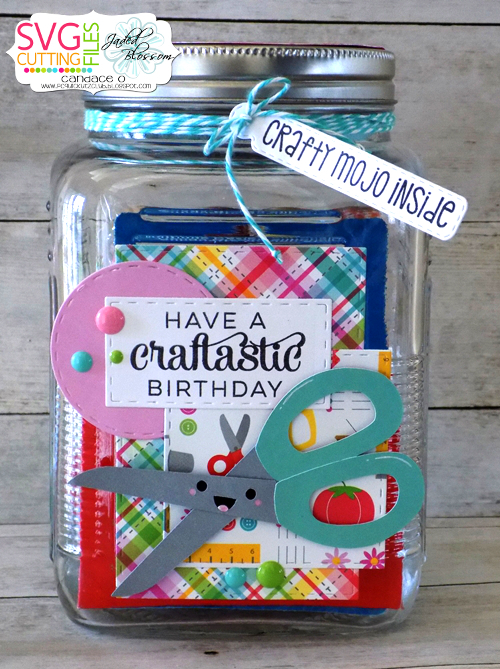 Using Jaded Blossom Stamps and Dies turned a plain jar into a fun jar!! 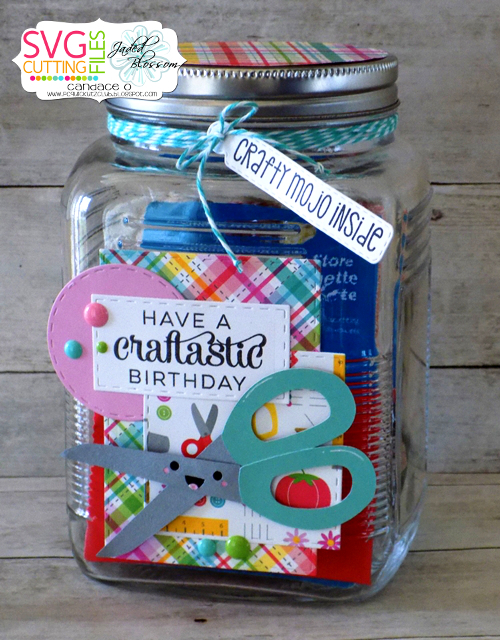 It's filled with crafty supplies she will love! !